That’s a question that a typical child of a construction worker asks. Door Step School (DSS) focuses on providing education to children of migrant workers. Vibha’s association with Door Step School has been historic and we’ve been consulting, funding, and enabling Door Step Schools for about a decade. More than 50,000 USD has been donated to DSS in 2014 alone! This project is just an example of what motivates Vibha Volunteers, and what makes us conduct brilliant fundraising events month after month, year after year. Right now, in the lovely monsoon weather, Vibha Bangalore volunteers are planning The Dream Mile 2014. Part of the volunteer effort being planned and executed is to visit corporates to educate them about the work Vibha is doing. OnJune 6, the publicity team had an opportunity to speak to the employees of Emtec. The primary objective of this meeting was to let Emtec team know details of The Dream Mile event scheduled for July 6, 2014. The interaction was great, and many of the logistical questions about the run were addressed. The greater part of the discussion, though, was about what Vibha does, what drives its volunteers, and what the biggest differentiating factors of Vibha are. Emtec employees also keenly listened to project examples, and the challenges Vibha is working to address. Some of these projects include Shristi Special Academy & HEARDS. 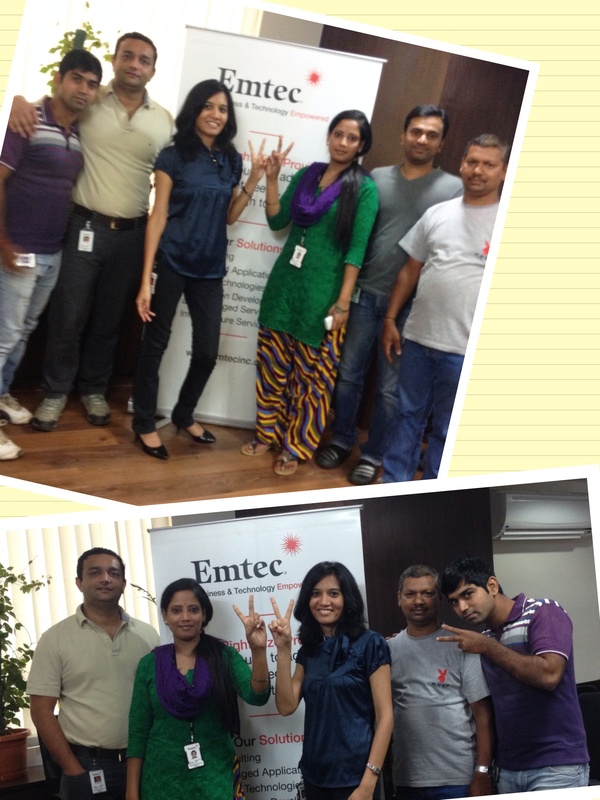 Emtec demonstrated good willingness and participation by registering more than 40 of their employees for The Dream Mile! They even donated toward Vibha’s cause. However, from the Bangalore team perspective: “More volunteers signed up for the team!” In our view, time is the biggest contribution anyone can make. By increasing the strength of their team in double digits, the team is on Cloud 9! Emtec’s HR management even showed willingness to have all their employees contribute 16 hours of their time annually as part of their CSR policy. Thank you Emtec! Welcome to the Vibha Family!